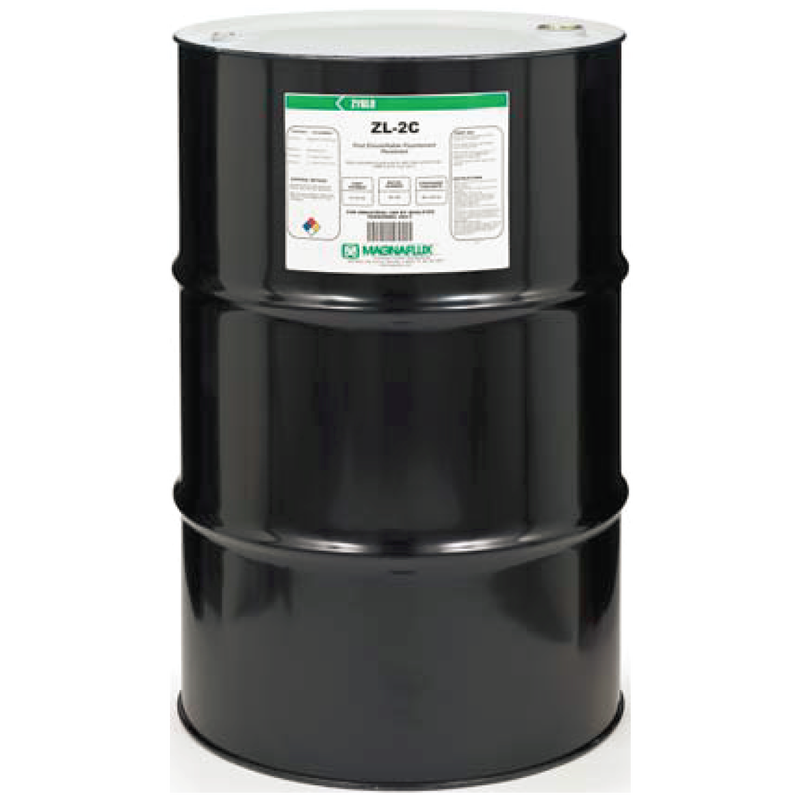 A medium sensitivity penetrant (Level 2), ZL-2C fluorescent post-emulsifiable penetrant is designed to be removed from the part surface by emulsifiers or solvent. With a UV-A light source, indications will appear as a bright green-yellow fluorescence. ZL-2C has a high flash point, and is designed to be used in open dip tanks. ZL-2C is listed on the QPL SAE AMS 2644 Qualified Product List and is approved for use by Pratt & Whitney.